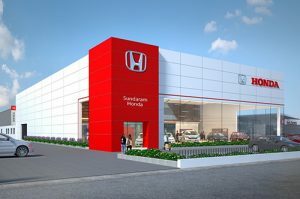 Hyderabad : Honda Cars India Ltd., leading manufacturer of premium cars in India, today announced that all its existing showroom and service centers will adopt a new corporate identity as part of its network modernisation initiative. The new identity accentuates the aesthetics and overall appeal in form of distinctive exteriors, warm & welcoming interiors and a new customer interface, offering an enriched and unmatched buying experience. The entire sales and distribution network with 350 facilities in 239 cities spread across the country will adopt the new identity progressively within the next three years. HCIL is also implementing ‘iWorkshop’ – a fully integrated digital workshop management system that combines the key workshop processes into a simple and intuitive solution using the latest technologies. How KENT CamEye Can Stop..
Maxxis Tyres Appoints First Distributor..
Kia Motors’ Brand Launch campaign..
Renault Announces Nationwide Summer Service..
Honda Cars India introduces new..
X-cite Unveils Blueair’s State-of-the-art Intelligent..